Thank you for sharing your review for Capri by the Gulf #117. We are happy to know that you all so enjoy this beautiful beach condo and we appreciate having you all as our guests over the years. 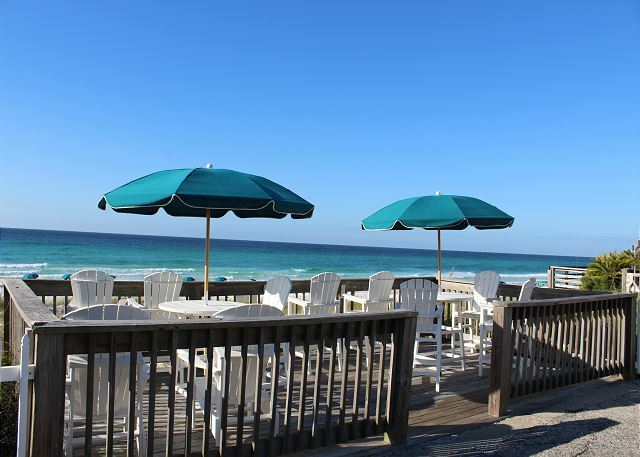 We look forward to seeing you all back at Capri by the Gulf again soon as our guests here at the Beach in Destin, FL! This was our second time staying at Capri 117. It is our favorite unit so far. I loved everything about our stay except for one thing. When we arrived at 3:45 p.m. hoping to check in a little early, the office staff said it would be fine but he needed to do a quick walk thru before we checked in. He walked in the unit and discovered that it had not been cleaned yet. By this time it was 4:00 p.m. He made a phone call and said it would be cleaned ASAP and asked if there was something we could do for a while until it was cleaned. So basically we didn’t get to check in until 5:00. I know mistakes happen, but the NEW checkout time is 9:00 😳. It is a real struggle to get up and out by 9:00 and I think if Capri is going to impose that early of a checkout time, they should make sure the room is cleaned in a timely manner. I heard other guests also complaining about such an early checkout as well, so you may want to revisit that decision. We appreciate having you all back as our guests, and we're delighted to know that you so enjoyed this wonderful condo! We are sorry to hear that you weren't able to check in prior to check in time, which is at 5pm. We can't ever prearrange early check ins, and we inform our guests when they make their reservation of check in and check out times. We thank you for your feedback on this matter; we highly value input from our guests. We hope to be welcoming you all back again soon as our guests for another wonderful vacation stay with us! Even better than I thought it would be! We made the reservations on a whim and it turned out to far exceed any of our expectations from the beach, to the wonderful community deck overlooking the beach to the updated cute, comfortable accommodations! A superb place to have as your ocean destiny!!! 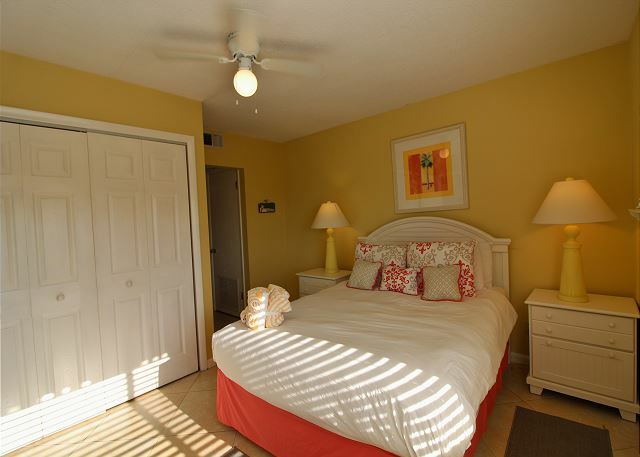 Thank you for sharing your review for Capri by the Gulf #117 in Destin, FL. 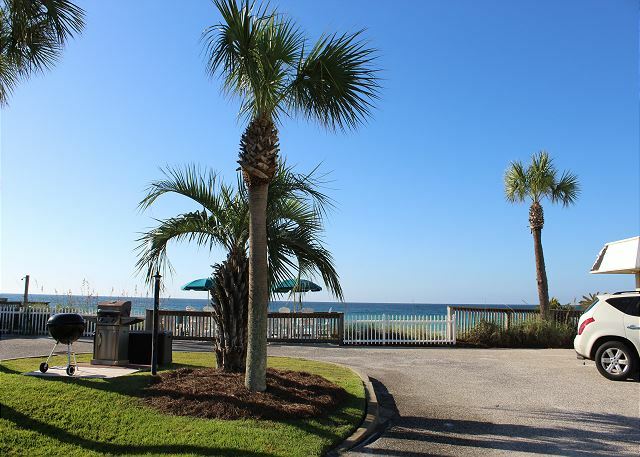 We are delighted to know that your expectations were exceeded and that you all so enjoyed your Destin beach vacation stay in this beautiful beach condo by the Ocean! We hope to welcome you all back again soon as our guests for another stay with us here at the Capri! 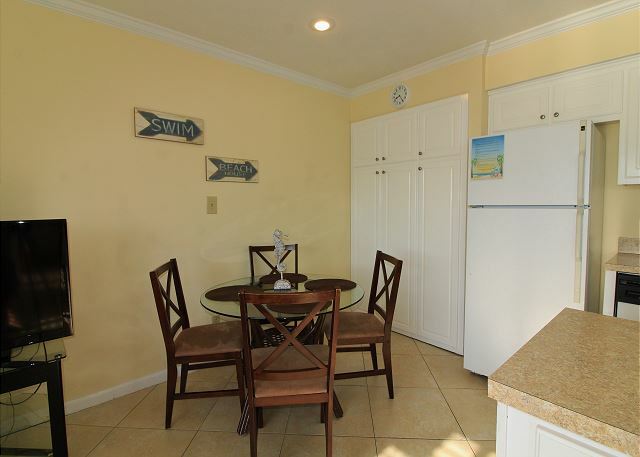 The apartment has a premium location, with its own incredible private beach and minutes from everything you need (wholefoods, walmart, target, restaurants, even an outlet mall). It was clean and had everything you need for a comfortable stay. We will return. Thank you for sharing your review for Capri by the Gulf #117. We are delighted to know that you all had such a pleasant stay in this beautiful home and that you so enjoyed the great location and area shopping options. We look forward to welcoming you all back again soon as our guests for another wonderful beach vacations stay with us here at the Capri in Destin! We thoroughly enjoyed our stay. Perfect location. We were very impressed with the accommodations. They even had a box fan available in the bedroom for those of us that need that Xray white noise at night. I would very much recommend Capri 117! Thank you for sharing your review of Capri by the Gulf #117. 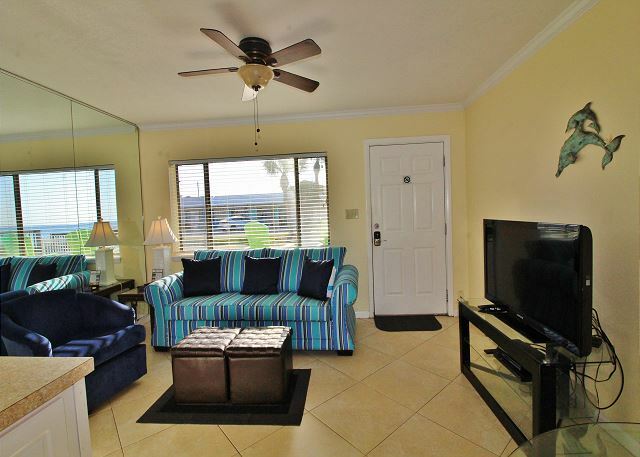 We are very happy to know that you all had such an enjoyable stay in this beautiful beach condo! We hope to welcome you all back again soon for another wonderful beach vacation stay with us here at the Capri in beautiful Destin, FL! This was our second time staying at a Capri property, and we love staying here. The location is amazing and the condo is everything we need. The only thing I would recommend would be to add hand soaps to the sink areas. Other than that, everything is perfect! Thank you for sharing your review for Capri by the Gulf #117. We are so pleased to hear that you all enjoyed your stay in this beautiful home! We thank you for your suggestion. As a courtesy, we supply our guests with an initial supply of packaged soap to give guests time to unpack or purchase the items needed for their stay. We hope to welcome you all back again soon for another stay in the beach condo that you love! Excellent!! Staff extremely nice and helpful. Convenient location. Thank you for sharing your review for Capri by the Gulf #117. 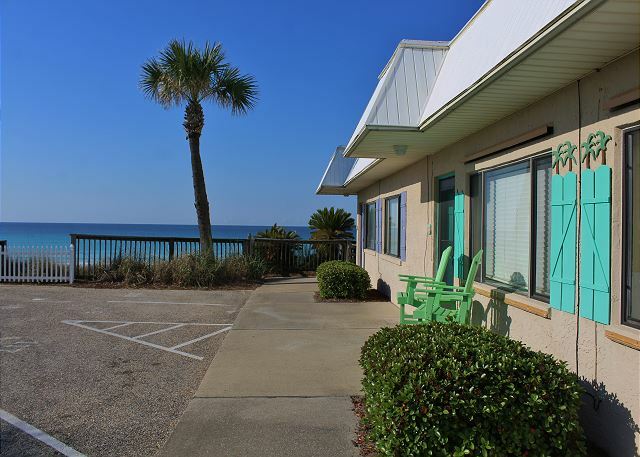 We are delighted to hear that you had an excellent stay with us here at the Beach in Destin, and that you so enjoyed the convenience of this Crystal Beach location! We thank you too for your kind words for our team! Here at Harmony Beach Vacations, we sincerely desire for each of our guests to have the best vacation ever, and we're glad to hear that our efforts were appreciated by you. 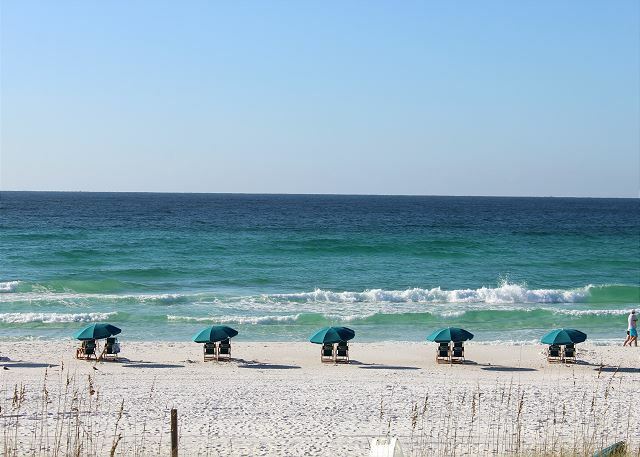 We hope to welcome you back soon for another wonderful stay with us here on the Emerald Coast! Thank you for sharing your review for Capri by the Gulf #117. We are so pleased to know that you all enjoyed your Winter stay with us here at the Capri in Destin, and it's wonderful that you enjoyed the beach and visiting your friends! We look forward to welcoming you all back soon for another great time here on the Emerald Coast! Very nice rental perfect for 2 people. Loved pulling right up to the door and the beach was so close. 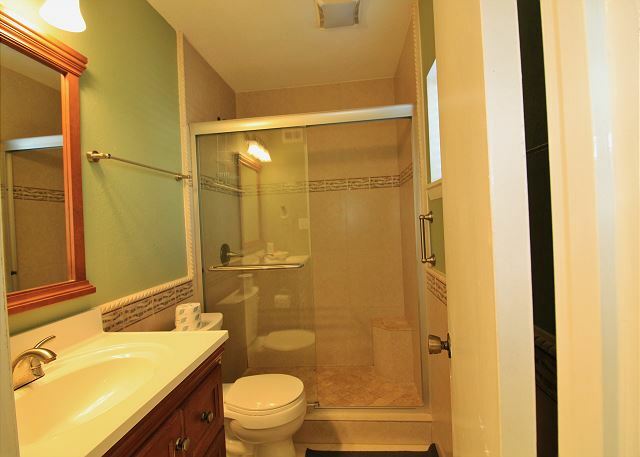 Inside was updated, bathroom renovated. Bed/mattress felt new. Loved it. Thank you for sharing your review of Capri by the Gulf #117. 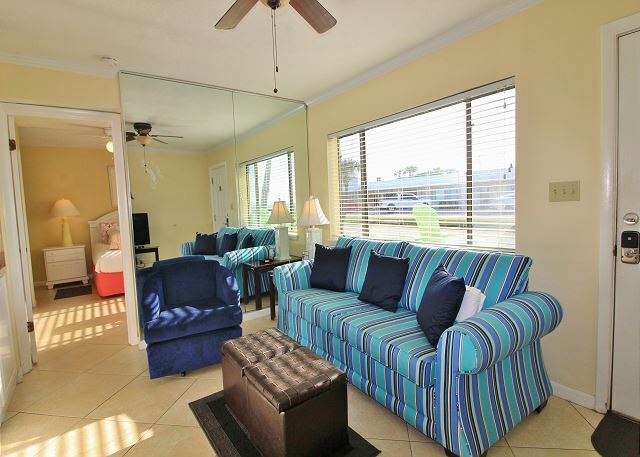 We are so pleased to hear that you all so enjoyed your stay in this beach condo, and that you enjoyed the convenience and comforts the home offers! We hope to welcome you all back soon as our guests for another wonderful beach vacation stay at the Capri in Destin, FL! Thank you for your review of Capri by the Gulf #117. We are so pleased to know that you so enjoy the Capri and we look forward to having you back soon as our guest in beautiful Destin, FL! This is a wonderful place if you enjoy being close to the beach and relaxing by the beautiful ocean. Great location and just the best little spot! Thank you for sharing your review for Capri by the Gulf #117. We are delighted to hear that you love the Capri so much, we do too! 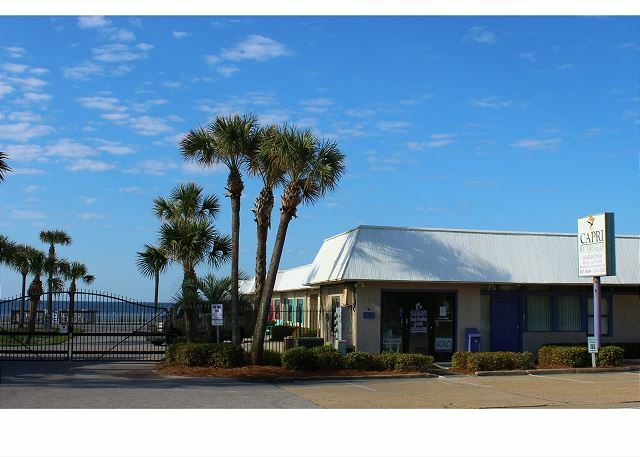 We hope to welcome you back again soon for another wonderful beach vacation stay with us here by the Ocean in beautiful Destin, FL! Thank you for sharing your review for Capri by the Gulf #117. We are so pleased to hear that you all had such a wonderful stay with us here at the Beach and we hope to welcome you back soon for another stay with us at your piece of Paradise here in Destin! Thank you for sharing your review for Capri by the Gulf #117. We would love to have you all live in Destin, if you would like any information about Emerald Coast homes for sale or for rent long term please contact our realty team at. Meanwhile we hope to welcome you all back soon as our guests in beautiful Destin, FL for another wonderful beach vacation! Thank you for sharing your review for Capri by the Gulf #117. We would love to have you all live in Destin, if you would like any information about Emerald Coast homes for sale or for rent long term please contact our realty team. Meanwhile we hope to welcome you all back soon as our guests in beautiful Destin, FL for another wonderful beach vacation! Thank you for sharing your review for Capri by the Gulf #117. 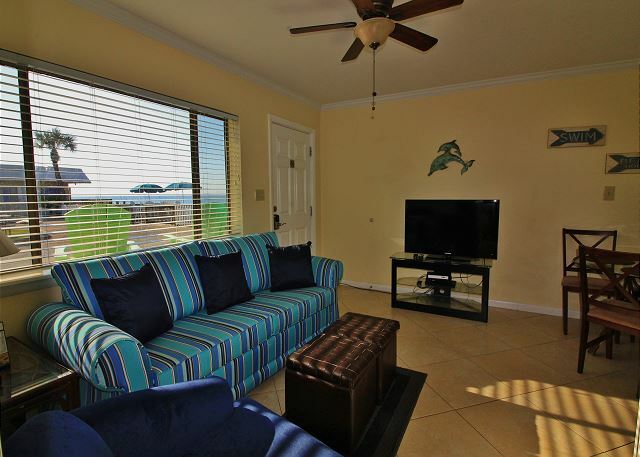 We are so pleased to hear that you enjoyed your stay in this beautiful beach condo and that you enjoyed the beach and the surrounding areas. We hope to welcome you back soon as our guests in Destin, FL! Thank you for sharing your review for Capri by the Gulf #117. We are so pleased to know that you had a wonderful week on your vacation stay with us! 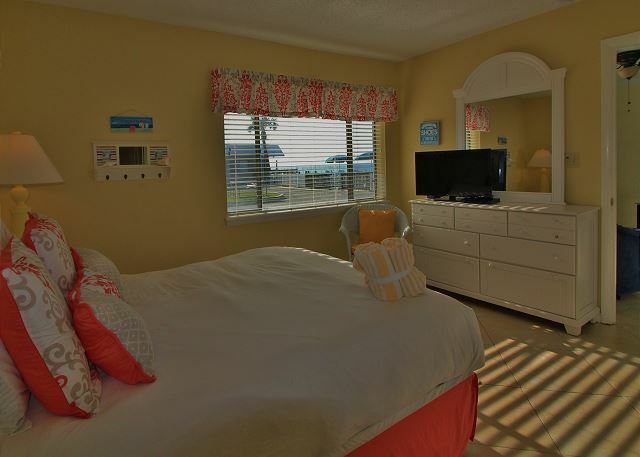 We hope to welcome you back soon for another beach vacation stay here at the Capri in Destin, FL! He staff was always nice and caring. Communication was also spot on and helpful. The location was very nice and quiet and loved the room we stayed in. I see was it was recommended by my son. The beach is clean and beautiful and is not crowded. I will definitely be back and will recommend it to the rest of my family. Thank you for sharing your review for Capri by the Gulf #117. We are so happy to hear that we were able to offer you all helpful assistance during your stay with us, thank you! We are also happy to hear that you all so enjoyed your stay with us and that you enjoyed the beach as well as this beautiful condo! We hope to soon have you and your family all as our guests in Destin, FL! It was the 12th vacation in Florida the first being 38 years ago when I was 18. The 6th vacation in Destin (starting 22 years ago with kids), and the 2nd or 3rd time in the Capri room 117. Destin seems to have the cleanest beaches out of all our Florida stays. The tourist areas offer a lot of what a person would expect from a nice tourist filled beach community. The quite location of the Capri, security gates, clean well stocked Ocean view rooms, and close easy access to the beach including chair & umbrella set up is what brings us (and friends) back to the Capri. The only thing that would have improved our stay would have been the old swimming pool that was lost in a storm and one of the rooms with the private Ocean view decks. I will probably try to get one of those the next time we stay in Destin. Thank you for sharing your review for Capri by the Gulf #117. We very much appreciate having one of the original Capri by the Gulf guests staying with us again&again and we are so pleased that you found Destin's beaches the cleanest of all you've experienced in your Florida vacations! We would love to welcome you all back soon and we'd be happy to reserve for you a condo with a private beach deck for your next stay. We hope to see you all soon back in Destin at the Capri! Love driving up to our door without having to haul luggage up stairs or through a parking lot and up elevators. Very accessible. The size is perfect for 2 people. Love the deck to sit and drink coffee in the mornings watching the sunrise or margaritas in the afternoon watching the sunset. Love being steps away from the beach and our beach chair service. Personnel were friendly and helpful. Would definitely go back and tell others about our experience. Condo was clean. The bathroom though had dust bunnies on the wall by the mirror. I wish there was a vacuum cleaner to get all the sand off the floor. But other than this it was great and we will be back!!! 5 for very satisfied. 5 for condition, 5 for location, 4 for cleanliness, 5 for very professional staff. Thank you for sharing your review for Capri by the Gulf #117. We are pleased to hear that you all had a peaceful stay with us! It's fabulous that you were able to take advantage of the community beach deck for enjoying sunrises and sunsets, and that you so enjoyed the complimentary beach service! We apologize for any dust bunnies by the mirror and for you're not having a vacuum in your condo. We hope you were able to let our onsite office know so that we could care for that for you. We would love to welcome you all back soon as our guests in Destin, FL! The property description matches photos, and the property was perfectly clean. The units are located near to everything; 5 minutes or less will get you to restaurants, grocery/convenience stores, and attractions, and it takes 30 seconds to WALK to the beach. They offer pamphlets encouraging things to do in the area if that is your thing. Thank you for sharing your review for Capri by the Gulf #117. We appreciate having you all as our guests and we are delighted to know that you had another wonderful vacation with us at Capri by the Gulf! We hope to have you all back soon as our guests in Destin, FL! I had never been to Florida before and it was wonderful. The people are super friendly, Gulf was spectacular,beautiful white sandy beaches. Capri by the Gulf is my go-to vacation spot from here on. Everything was neat and clean, loved the decor. Toes in the water, toes in the sand, not a worry in the world, life was good at Capri!!!! Thank you for sharing your kind review for Capri by the Gulf #117. We appreciate your comments and we agree! Life is good at the Capri! We would be most happy to welcome you back real soon as our guest at Capri by the Gulf in Destin! Thank you for sharing your review for Capri by the Gulf #117. 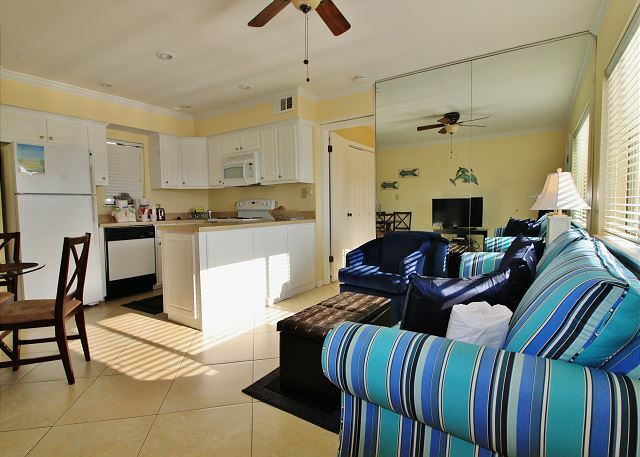 We are happy to hear that you enjoyed your stay in this beach condo and we would be happy to have you back soon as our guests at Capri by the Gulf! Love this place! Very relaxing with the beautiful beach just steps from your door! Thank you for sharing your review. 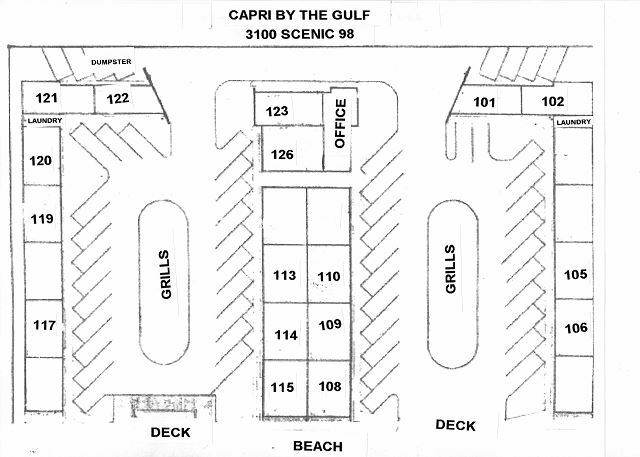 We are very pleased to hear that you had a wonderful stay with us at Capri by the Gulf #117 and that you enjoyed the beach being just steps from the front door. We would love to have you back soon for another wonderful beach vacation at Capri by the Gulf! We appreciate you taking the time to share this review. We are pleased to hear that you had an excellent time and we would love to welcome you back soon as our guests at Capri by the Gulf! The rooms were cozy and quaint- perfect getaway for two. It was bright and cheery, a nice home away from home. Thank you for sharing your review. We are delighted to hear that you all enjoyed your stay with us and we would love to welcome you back soon to your 'home away from home' at Capri by the Gulf! I stay here several times a year and John and his staff bend over backward to make me feel at home... The Capri has become my home away from home. Thanks! We had a very good experience with our rental. Since we had friends that had stayed there before, we had an idea what to expect. We were not disappointed. The accommodations was great and very comfortable. Everything was clean. The location was on the beach with a private beach and beach chair services. They were so accommodating. They set up our chairs and umbrella so that our group of 8 could all sit together. We had a great time and plan on staying in the same place next year. Thank you for sharing your kind review. We are so pleased to hear that you all enjoyed your stay with us and we look forward to having you back as our guests at Capri by the Gulf! the layout of Capri that was so enchanting! I LOVED being just steps from the beach. I also loved being able to drive right up to my front door and then not have to fight elevators. The condo was cozy, very clean, and newly decorated! The only suggestion is that the condo could use a few rugs maybe one in kitchen, one in bathroom. But other than that, we had zero complaints. We will be coming back here for years to come! Thank you for sharing your review. We are so pleased that you all enjoyed your stay with us! Thank you for sharing the things you enjoyed about this home so that other guests can consider this when planning out their vacation. We welcome you back as often as you can come! We loved our little cottage, so close to the beach, loved the little seating area, helped us to make friends as we joined them there. Wish there was a ramp to make easier access to beach for some with leg or lung problems. Thank you for sharing your review. We are so pleased that you all enjoyed your stay with us and we would love to have you back soon as our guests in Destin! We do enjoyed our stay! Love not having to keep up with keys. Enjoyed the chairs and umbrella service provided, no lugging stuff out to the beach. Planning on returning next year. I think Capri is the best kept secret in Destin. Easy in, easy out. Right on the beach as if you have your own private beach. No struggling to park and the rooms are clean and neat. Great value in my opinion. We absolutely loved every aspect of the stay! Beach acess was perfect. After all what are you really there for? Very relaxing with all the comforts of our own home. A plus was not having to fight elevators or srairs. Park right at our door and only steps to the beach. Very neat,clean and decorated very cute!The gentleman at check in was outstanding by going above and beyond the call of duty! The rest of the staff left a little to be desired. WONDERFUL STAY!!! Fantastic location and beach. Single story town homes with parking directly in front of units. Professional and cheerful staff. Super clean unit. Excellent. We have been visiting Destin and staying at the Capri for several years now. It is such a wonderful place to stay! It is always clean, quiet, and the staff and other guests are always so friendly! I highly recommend Capri by the Gulf and Harmony Beach Vacations! Thank you for sharing your review and kind words. We appreciate having you as our guests! We are so pleased that you all enjoyed your vacation stay with us and we hope to have you back soon as our guests! Wonderful location only steps to the beach. No waiting on high rise elevators or walking miles across hot pool patios to get to the beach. This condo is literally steps from the beach. We fell asleep each night to the lapping of gentle ocean waves. The only downside was no individual unit washer/dryers and no swimming pool. Would stay again. a guest from Alexander City, AL does not recommend this vacation rental. should not have to pay damage fee even though there was no damage & cleaning fee too high. Only 2 people stayed & we did not leave a mess. Thank you for sharing your review. We are sorry that you feel that way, but the fees we add for cleaning, tax, damage waiver are customary fees for condo rentals in this area. With a shorter stay, this may appear high as the fees average out over longer stays of 5-7 nights and the nightly average is reduced. The damage waiver fee is optional for our guests if they are willing to put up a security deposit and it does have advantages in case of accidental damage by our guests, just sign the coverage sheet and there aren't added charges for the accidental damages that may occur. We appreciate having you as our guests and we hope to have you back in the future. We loved our stay at the Capri! So nice to drive up to the door of your condo and easy to bring your luggage inside. 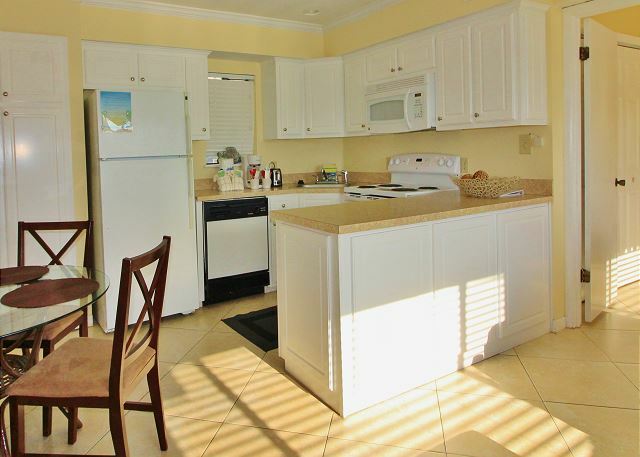 Easy and close access to the beach ...steps from your door. The deck was wonderful to sit and drink coffee watching the sunrise in the morning or enjoy margaritas and watch the sun set in the evening. Perfect spot for couples or families. The condo was clean and had everything we needed. Would love to go back soon!!! Will definitely recommend this place to my family and friends. Thank you for sharing your review. We appreciate having you stay with us and we're so glad you all had a wonderful stay! We hope to have you back soon as our guests in Destin! Thank you for sharing such a kind review! We appreciate having you as our guests and are delighted that you all had such a wonderful time! Thanks for your suggestion too; we greatly appreciate our guests feedback. We hope to see you back soon as our guests at the Capri! Thank you for sharing your review! We are so pleased that you all had a wonderful stay with us and we hope to soon have you back as our guests here in Destin! The condo my husband and I stayed in was comfortable, perfect size for the two of us, and had a very "at home" atmosphere. We throughly enjoyed the easy access to the beach, restaurants, and other entertainment in the area. Everything was within a quick 5-10 minute drive from where we stayed. They also provided free use of an umbrella and lounge chairs on the beach. Those made the stay even more relaxing since we didn't have to lug those items down to the beach. The beach area was nice and clean, as was the complex itself. I would definitely choose to stay here again and bring my two children with me next time. Thank you for sharing your review and for adding details that future guests may consider when booking their beach vacation. We're so pleased that you all enjoyed your stay with us and we hope to have you back as our guests very soon! Condo was clean and well equipped for short or long-term stay. 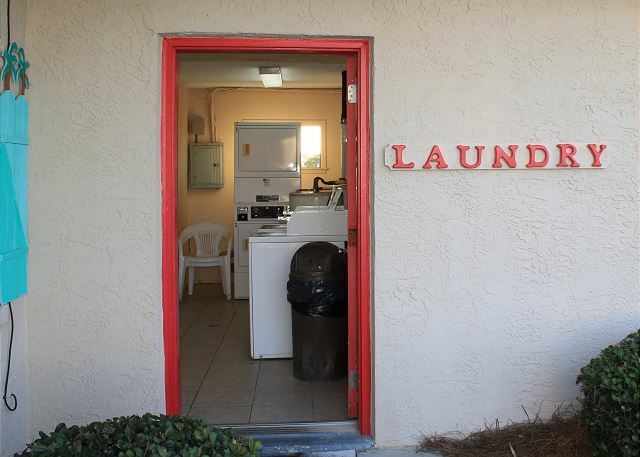 Laundry facility could use a "freshening up". Thank you for sharing your review. We're glad you enjoyed your stay and we hope to have you back as our guests soon! We have enjoyed our time here greatly. The deck has been repaired, and everybody here has been using it quite often, we have watched some amazing sun sets on it. Thank you for sharing your review. We're so glad you all have enjoyed the Gulf sunsets and we appreciate having you as our guests at the Capri! This is a great place to get away from the snow, however: The deck on our side is unusable do the wash out. We keep asking when it is going to be repaired, but no one will give us an answer as to when it will be repaired. This was always a pleasure for everybody on this side to relax on! We are so sorry about the delay on the repair on the deck. The permitting process with the city and state took much longer than the association expected! love this place. Third year in a row. I must say its a good value for what you get. They need new mattresses on the bed. But even more the sleeper sofa. We had a lot of time to lay in them because it rained for three days straight. But I must say even though we love the sun , it was still warm and the water was warm and clean and are room was very nice to stay in. This place in my opinion is one of the best in destin, it is a gated community and they have their own beach spot. The condo was very nice and had everything we needed. 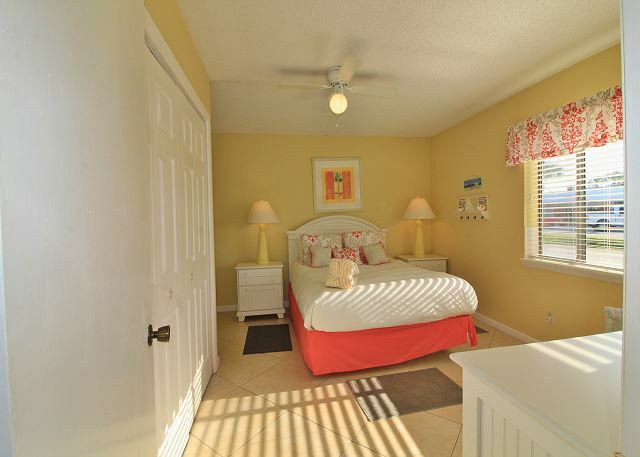 We love going to Destin and Capri by the Gulf is the very best vacation rental! This is our third visit and the property is always clean and well maintained. The beautiful beach is right outside your door. It is a quiet place with a wonderful staff! We absolutely love it and hope to continue to visit year after year!